Back with my friend Steve and this time he manages to sell me the most beautiful shallots and manages to squeeze in a bag of small limes from a neighbours farm which I am dying to use on a ceviche. As the morning conversation with Steve mostly revolved around growing onions, shallots and how he came about growing shallots. I could not help wondering what to cook with them, we have used the banana shallots from Steve for a number of years now, love the way they make our springbok dish shine with sour and sweet notes not mushy but firm and crisp. For years we were not so spoilt being mostly exposed to yellow onions which pretty much was used for everything. So when Wednesday arrived I was so excited when we received our delivery of golden and red shallots. I must make it clear that if my kitchen does not have onions it is a catastrophe, the world will come to an end, I cannot imagine cooking without onions, it is an essential seasoning, building block in creating layers of flavour in any dish, just like the addition of spice and stock. Leave it out and the dish will lack the required depth it needs to be complete. Imagine an Indian curry without onion, how will it be possible to create a proper thickness in the sauce? 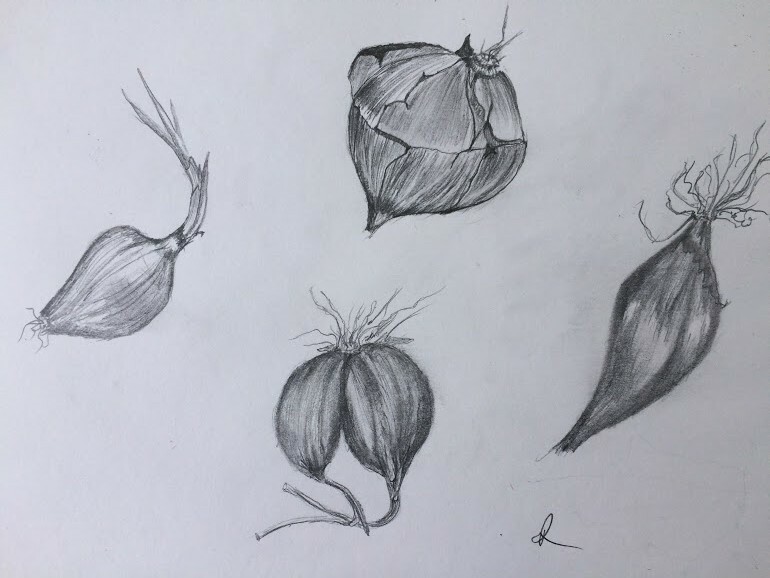 Shallots form part of the allium family and I find them milder than large onions. They have a great way of bringing flavours together and melt away so beautifully when cooked. They grow in sulphur rich soil in clusters similar to garlic. They are more pricy and they do take a little more effort, but so worth it. I still wanted to cook something that was only going to make the onion shine, why not make Slaphakskeetjies with the shallots, I have not cooked this in years, the last time with baby onions. It has been in the back of my mind for months after eating it at Overture, Bertus made me jealous! Slaphakskeetjies is basically onions in a sweet and sour mustard sauce and very South African. The sour sauce also works well with green beans. Great served at room temperature. Typically the recipe is straight forward with sugar, vinegar and English mustard. Over the years the recipe I now use has changed a couple of times, I now add a little cayenne pepper and turmeric after trying a recipe from Peter Veldsman from Emily’s. The sauce is thickened with egg yolk and corn flour. 1.2 kg pickling onions, peeled but kept whole with the base intact. Place in hot water for a couple of minutes this will make them easier to peel. Place the peeled onions in boiling water, bring back to the boil for 2 minutes, remove and leave in water for about 10 minutes until soft. Drain. Mix the salt, mustard, half sugar and corn flour together. Over a double boiler add the eggs and half sugar, whisk over a double boiler until doubles in volume and is nice and thick. Bring the vinegar and water to boil, make sure corn flour is well incorporated and cooked out. Temper the egg mixture with a little mustard mixture, before adding all together. Pour the sauce over the onions and serve .